Have there been conjoined twins in the past? 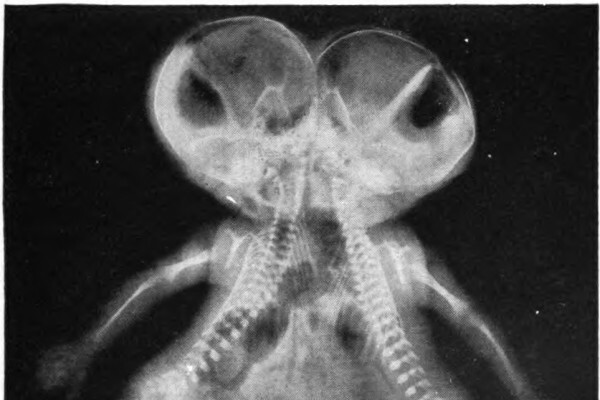 Have archaeologists found evidence of conjoined twins in the past? Diana - Well, as far as I'm aware, no, and I think it would be quite big news if they had. But there are all sorts of historical examples, and there was one example in some art made by the Moche, which was a group of people living in coastal Peru in South America around the turn of the first millennium. But, basically, in about 300 A.D., they made some pretty pictures of them. But there are also some examples about - I think it was 965 AD, there were some European Siamese twins were recorded in history, but as I said, as far as I know, no skeletal evidence. Chris - Presumably, because it would have been so hard to give birth to a Siamese twin? Chris - Probably many perished and so did many mothers, and it would have just been the end of story. Diana - That's the thing. And, also, neonatal bones of these - bones of babies really don't survive very well at all. Previous How do some orchids mimic insects? Next How are calories in food calculated?